Boomer Esiason"Tebowed? 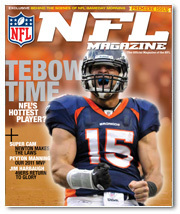 Not Me"The outspoken analyst and former Super Bowl QB takes a different view of Tim Tebow. Andrea Kremer"Play All the Way"The veteran football journalist lets struggling late-season teams know there’s hope – with hard work.